For the past 4 years, I have been been grateful enough to be able to attend Canyon Creek Summer Camp, which is a co-ed overnight summer camp created by some of the founders of The Harold Robinson Foundation that provides a safe, non-competitive environment where kids 7-16 years of age build confidence and independence, learn teamwork and develop problem-solving skills. Over the years, I have indeed learned these skills as a camper, but have also made new friends, tried new things, and learned a lot about who I am; Canyon Creek has had a major impact on who I am today and I are more than grateful to have been able to attend this magical place for the past 4 summers. 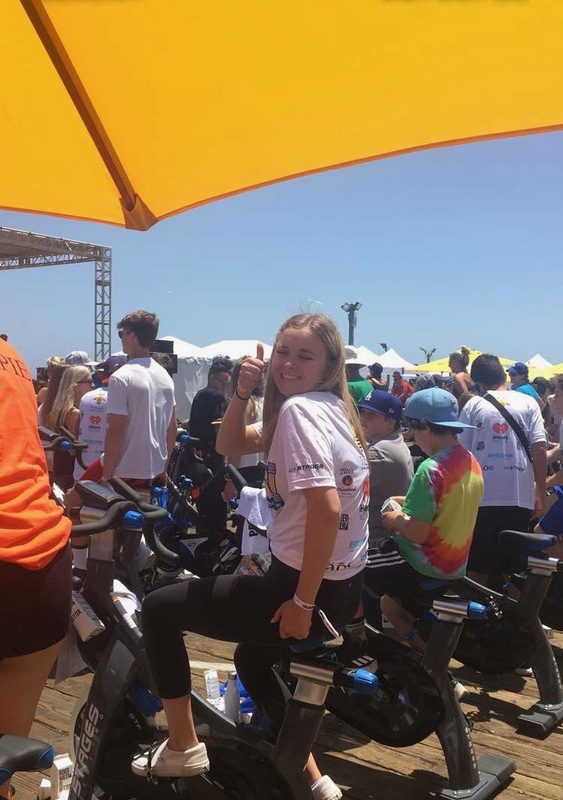 Last year, some of my closest friends that I have made at Canyon Creek and I participated together in Pedal on the Pier and raised money for impoverished children in Los Angeles to be able to have the same chance to go to camp like we are so beyond fortunate to have. Canyon Creek has had such a huge impact on all of our lives that this year, we are participating again and our goal is to reach a total of $5,000 to help send these kids to enjoy the same opportunities we are blessed to have. We hope to achieve this goal more than anything and we would be most grateful if you could support our efforts with a tax-deductible donation of ANY size (seriously: even $5 is beneficial). Thank you for supporting our effort in trying to make a difference in a child’s life. $ 100.00 You go girl!